Originally from Tulsa, Patrick Coman has seen a lot of this country. While visiting at his CD Release set last night at Lancaster’s Tellus360, I learned that he recently spent eight years in Boston and now lives in Charlottesville. He and his wife have a lovely two-year-old daughter with whom he spends most of his time. Another unique nod to the past was his one-man-band set-up. There sitting on a piano bench next to his stool was a long, flat wooden box. It was a vintage electric analog drum machine. He used it for accompaniment on most songs to add depth, drive and at times, nuance. I noticed a warmth that isn’t found in today’s electronic equivalents. It really was a nice addition to his sound. Beyond that, Coman played a red solid body Gibson electric with an array of pedals and tapped a tambourine with his boot. Coman opened the set with the mid-tempo rocker “Trouble” off the new CD. It was a great selection to signal what the set would deliver. It could easily be a toe-tapping singalong with its call and response of the title in the chorus. The set continued with stories and engaging tunes. Five songs in, he introduced “The Judge.” Coman explained that he felt he should have a traveling song in his repertoire, so this Johnny Cash inspired country blues gem to fit the bill. Just as he had the party rolling, it was time to get serious as he introduced the title song of the EP, “Tree of Life.” It is the first song Coman wrote for his beloved daughter. She was in utero at the time, so I’m sure there are many more to follow. It’s no lullaby. It has a serious tone lyrically and screaming guitar licks propelling it forward. 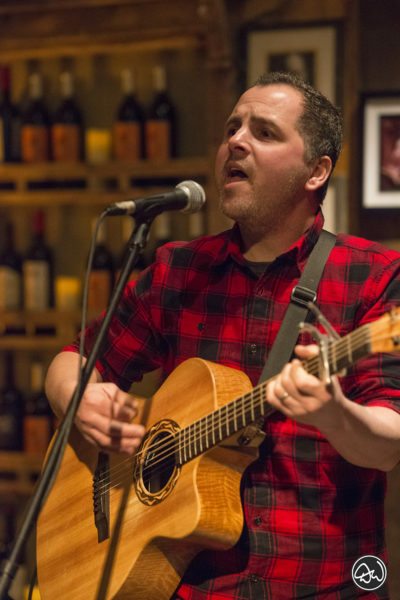 Opening the evening was local Indie singer-songwriter, Chris Kauffman. 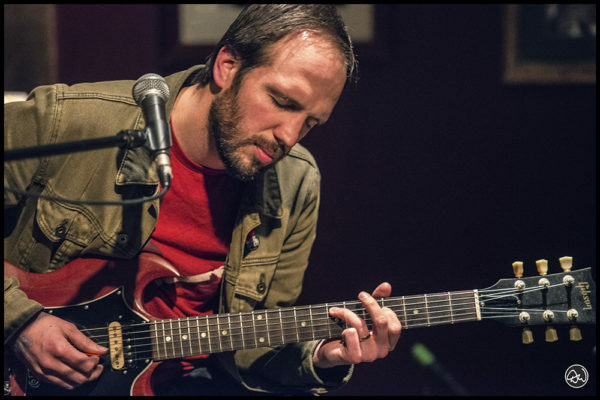 Kauffman is well-known in the area as both a solo artist and leader of the band The Deconstructionists. His songs are spare and thought-provoking. Opening with “Down By The River,” off his new self-titled full band CD, the song has several layers and would play well as a full-fledged Bluegrass tune with fiddles and mandolins. “There is a place where everything you’ve ever said is all written down.” Yeah … we can all relate to that! Indirect support was Indie singer-songwriter Liz Fulmer of Lancaster PA. Fulmer’s set included traditionally styled originals with clear autobiographical origins and a straightforward, no-frills performance. 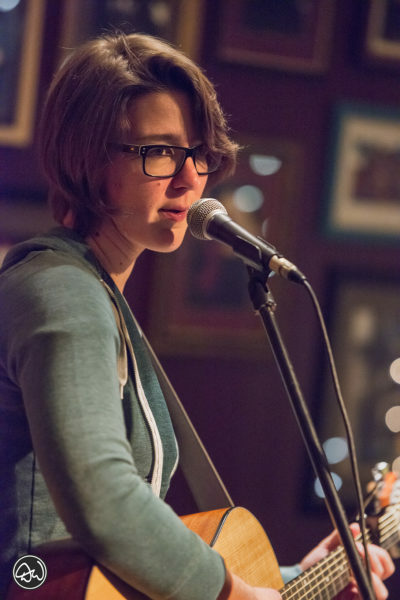 In her case, lyrics take center stage delivered with her very warm, wide-ranging vocals. Her self-titled well produced release is available on Soundcloud and other platforms.